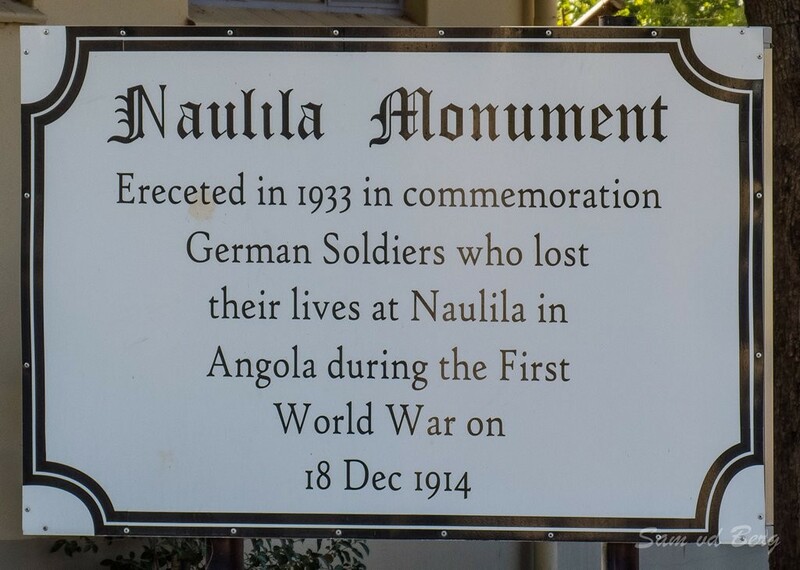 The Naulila Monument, erected in 1933, commemorates the soldiers that lost their lives on 18th December 1914, under Major Franke at Fort Naulila. 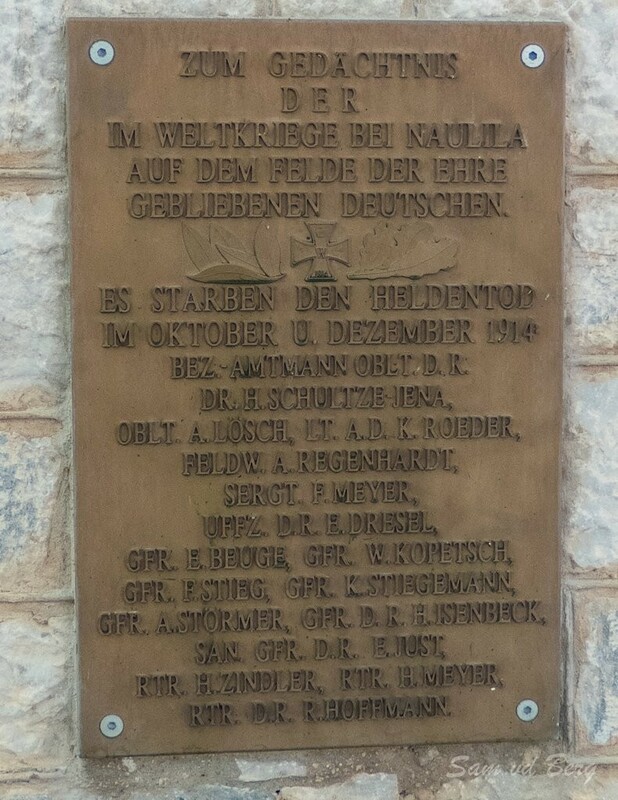 Major Franke was sent to avenge the murder of Dr Schultze-Jena, District Officer for Outjo and two officers, First Lieutenant A Lösch and Second Lieutenant K Roeder. Dr. Schultze-Jena and his expedition was sent to Naulila in an attempt to set up non-aggression treaties and negotiate food supply chains, whilst Germany was at with the Allied Troops from South Africa. 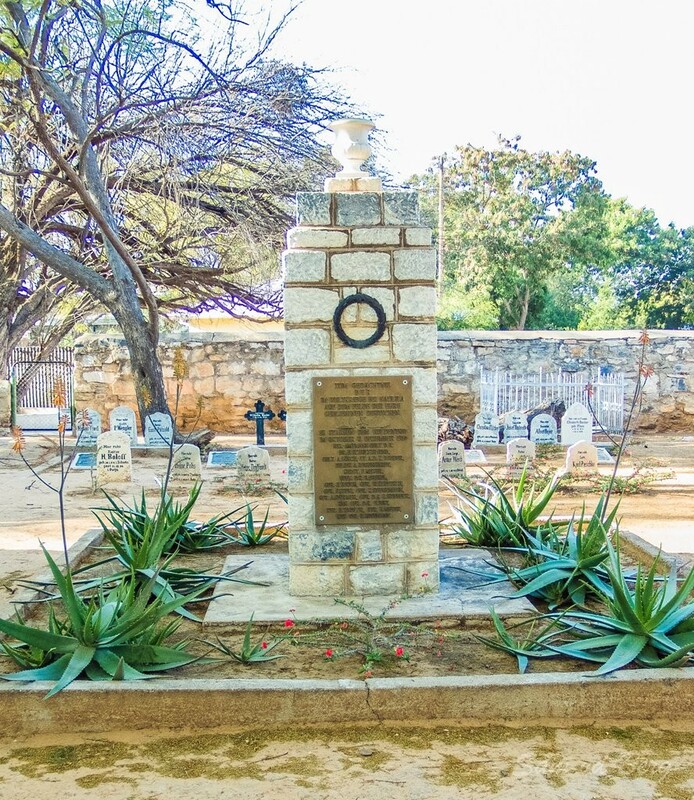 Dr. Schultze-Jena together with German soldiers and officials were massacred on the 19th October 1914 by the Portuguese near Fort Naulila on the Kunene River in Angola. Martial law had been declared in Angola on 12 September 1914 and there was an unwritten alliance between Portugal and Brittain. When German High Command received the news a punitve force of approximately 500 men under the command of Major Victor Franke was sent to Fort Naulila. 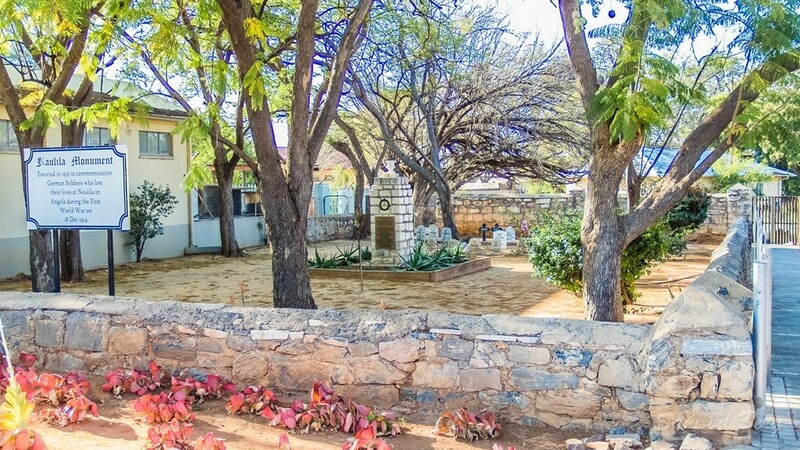 A two pronged attack was launched on the fort that was protected by about 450 Portuguese soldiers and 300 armed Angolans. After a heavy fight the Portuguese fled leaving behind 150 dead and wounded. Three Portuguese officers and 63 men were taken prisoner. 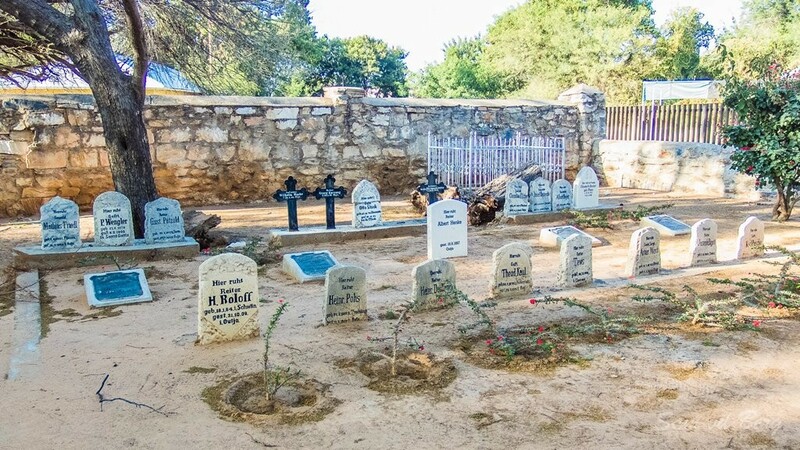 The losses in respect of the Angolans were not documented. On the German side 31 members were either killed or seriously wounded.